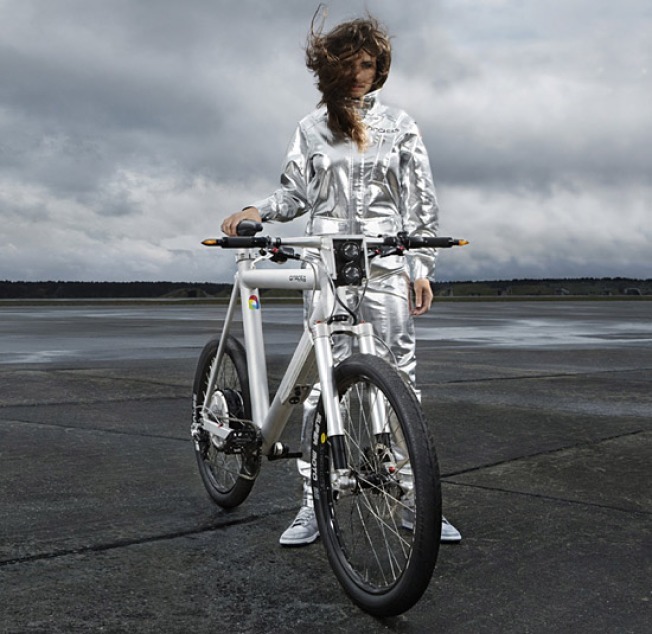 Build an aluminum electric bike with euro-fighter and Formula One parts, power its 1300-watt motor with lithium-ion batteries, and you have Grace in motion. The company is calling Grace "the world's first and finest E-Motorbike," and while we beg to differ with that slogan — we've ridden a few profoundly exciting electric bikes ourselves — we have to admire the stylish build and cool power of this conveyance that looks like it came from the next century. And this is beyond just a bicycle — it's almost fast enough to be called a motorcycle. Because this is all very high-tech and handmade in the company's Hanover, Germany shop, you'll have to plunk down €5877 ($8,742) for the privilege of gracing yourself with this electro-bike when it ships in January. But then, the company claims that Grace is somehow "really cheap compared to a car." Maybe they have a point. If your commute is moderate, that might be true, with Grace's 18 to 31-mile range (depending on your weight), 40mph top speed, and one-hour battery recharge time. If it just went a bit faster and lasted a little longer, we'd call it amazing.